The holidays are a great time of year, but there’s always the daunting task of trying to find the perfect gift for all of the beautiful people in your life. I LOVE coming up with gift ideas, but if you’re like 98% of my friends and family the thought of gift shopping stops you dead in your tracks. 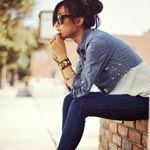 So here I am to share with you some ideas to help get you through the process with ease and to find the perfect gift for that someone special. We’re going to kick things off with the party hostess. One of the best parts about the holiday season is the parties. What’s better than mingling with your family and/or friends while sipping festive cocktails and stuffing your face with food? Nothing. And these overindulging festivities wouldn’t be possible without the hard work of your favorite hostess with the mostess, which is why I find it in good taste to bring a gift to show your gratitude for the invite. 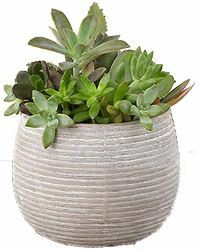 Succulent Garden, $19.99. I think everyone should have a touch of life in their home, so gifting your hostess a plant or a bouquet of flowers is a fantastic option. You can go as small or grand as you want, but I will suggest gifting those that don’t require a lot of upkeep. Stick to funky looking cacti, bamboo, or (in the case of my example) succulents. Gardenia plants are also a pretty and fragrant option that require minimal upkeep. If you think of it ahead of time, ordering from a site like 1-800-Flowers gives you plenty of options– just remember shipping restrictions can be costly and tricky. I suggest heading to your local florist – it’s great for supporting your local businesses and you can really create something unique, plus your local florist will always be there when you’re in a last minute jam. 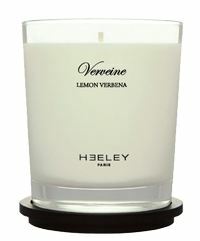 Heeley Parfums Verveine Candle, $65. Candles around the house are always a nice touch and I’ve never met someone who’s turned down one before. 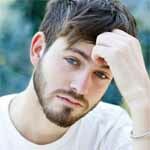 They can always be used at some point – to relax after a long day at the office, during another party, or just because – so you’re definitely safe with this bet. Stick to scents that are more subtle and simple, unless you know your hostess well and can rest assured that she’d appreciate a stronger, bolder scent. Anthropologie Vintage Cocktails, $50. Coffee table books are always a great gift. They’re a conversation piece, they’re interesting to look at while not requiring much attention, and they can make a great centerpiece to a party. 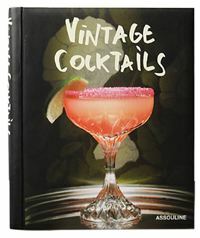 Books revolving around food and alcohol are always fun for the hostess that LOVES to plan parties all year around because it gives her inspiration to try new things. However, if your hostess is more of the occasional planner, gifting a coffee table book that pertains to an interest of hers is always great. Something like the new Kate Moss book (Kate: The Kate Moss Book) is another suggestion. Cards Against Humanity, $25. If your hostess has a quirky and dirty sense of humor and loves to entertain friends year-round, then this is an awesome gift. This game has the basic structure of Apples to Apples, but from what I understand it is much raunchier and way more fun (I’ve never played Apples to Apples)! My boyfriend and I own Cards Against Humanity and are constantly hosting friends at our place because of it, and let me tell you, it’s a blast! If you know your hostess is down for a good game, gift one of your favorites – this just happens to be mine. 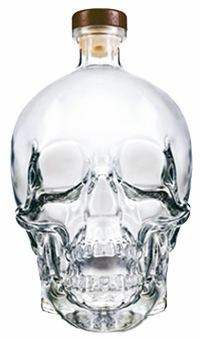 Crystal Head Vodka. Booze – the magical word. Bringing a bottle of your favorite spirit most typically goes over well and it’s a great gesture that doesn’t have to cost you a ton of money. Forgot to pick up a gift? Grab a bottle of wine or liquor (full, of course!) you have at home on your way out the door. Discovered a new great wine or cocktail? Why not gift it to your hostess. She’ll appreciate the thought, especially at the end of the night when a nightcap after a successful party is a great way to wind down. Rae Dunn by Magenta Chalkboard Coasters, $26. Practical items for around the house are fun little gifts to give. Not only are they a sweet gesture, they can be used by your hostess around the house too. 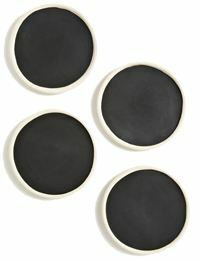 These useful, yet unconventional, coasters are a great touch to any home and they’re a really fun piece, too. Your hostess will definitely want to whip these out at her next party and she’ll love the fact that she can make them her own by scribbling fun designs and messages on these handy little things. 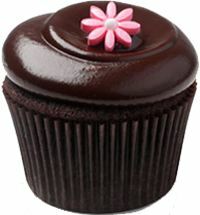 Georgetown Cupcake 1 Dozen Cupcakes, $29 ($10 for shipping). Everyone loves sweets and fun holiday themed cupcakes are sure to put a smile on anyone’s face. 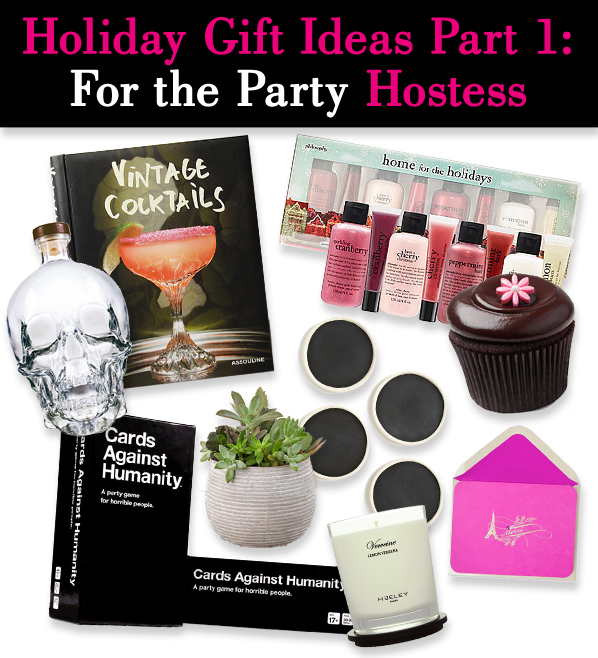 What’s great about this gift is that the hostess can set these out during the party or, if she’s anything like me, wait until the guests are gone to plop down on the couch and relax with a cupcake (or two, or three…). These particular cupcakes are just an idea, so remember to stop by your favorite local bakery or foodie hot spot for other fab gift ideas. And if you’re really feeling Martha Stewart-y, some homemade baking is always a welcome gift. Philosophy Home For The Holidays Set, $38. A lot of work goes into hosting a holiday fête, so rest and relaxation after the celebration are definitely on your hostess’ mind before, during, and especially after the party’s over. Gifting a set like this, which can be used as bubble bath, is an easy way to help her achieve her state of relaxation. I’m a huge fan of Philosophy and the scents of their all-in-one shampoo, shower gel, bubble bath are to die for, and this gift will definitely have your hostess relaxing in no time. 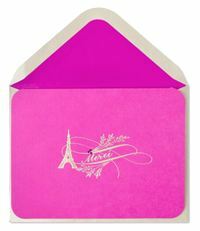 Papyrus Eiffel Tower Merci, $5.95. If you’re short on cash or not much of a gift giver, a thank you card is always a wonderful gesture. It comes from the heart and gives you an opportunity to put your own touch of flair on it. In a time when we’re all used to emails and text messages, a hand written card is always a nice and welcome surprise. When you’re receiving all of those invitations to those fab holiday parties, don’t forget to treat the person who made it all possible. Hey, she’s treating you to an awesome night so a small gift is just a simple way to show that you appreciate all of the hard work she’s put into the night. Enjoy those upcoming holiday gatherings!